Elijah K. ’18 won the BSGE’s very first Rubik’s cube competition on March 11th. Mr. Lakhaney supervised the tournament and provided the contestants with the Rubiks cubes and snacks. Students from all grades were given the chance to participate, but mainly 7th and 8th graders competed. There were two rounds of the competition and everyone that came was allowed to solve the cube three times for the first round. The average of their best two times was recorded. The top three averages were given the chance to proceed to the final round. 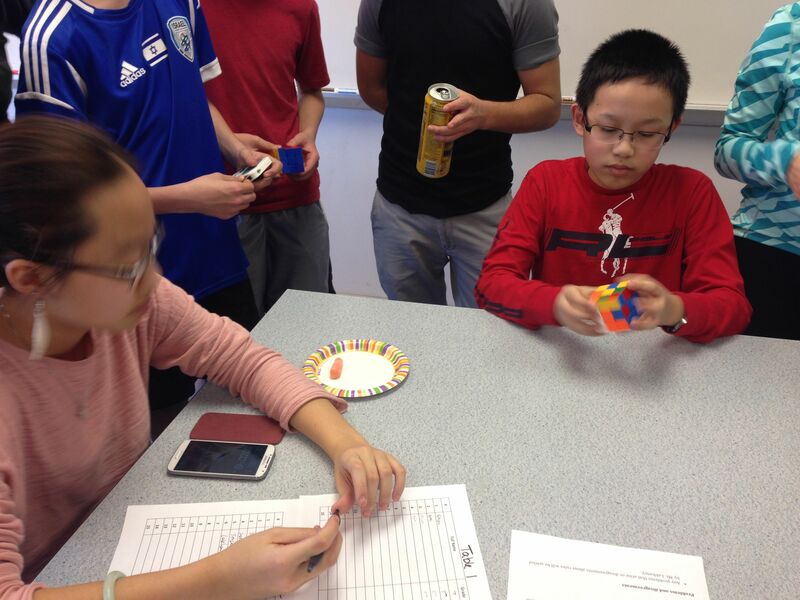 Students attempted to beat each other to the fastest time for solving the multi-colored cube. In the end, there three final contestants that each solved the cube a total of five times in the last round. Their times were recorded and averaged out to find the final winner. 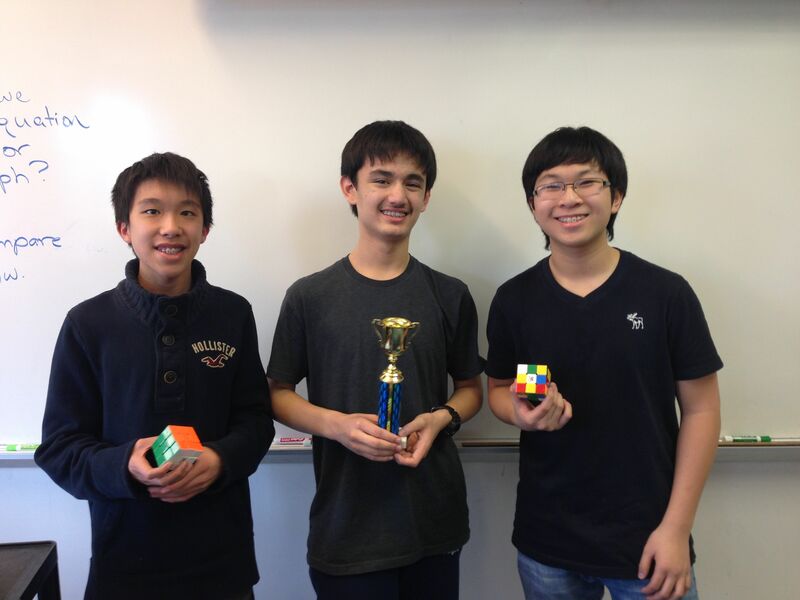 Elijah Karshner took first place, Jensen Li second, and Ethan Yung took third. Elijah’s winning average time was 30.92 seconds, Jensen’s 31.96, and Ethan’s 42.87. The fastest time in the entire competition was Elijah’s 26.51 seconds, an impressive time. Mr. Lakhaney participated in the competition as well and achieved a time of 1:36:52. “I had the tenth best time,” he said when asked about it. 7th grade Justin Y ’19 competing. The event seemed to be a success, with students closely watching the ten participants’ every move. Twenty-five to thirty students came to watch. Sarah C. ’18, a spectator who also helped organize the competition, stated that, “it was incredible to see so many people come to the competition. People were so excited and cheering for the competitors.” It lasted for about an hour and a half starting from after eighth period. This was the first time that this type of event was held and due to its success hopefully not the last.